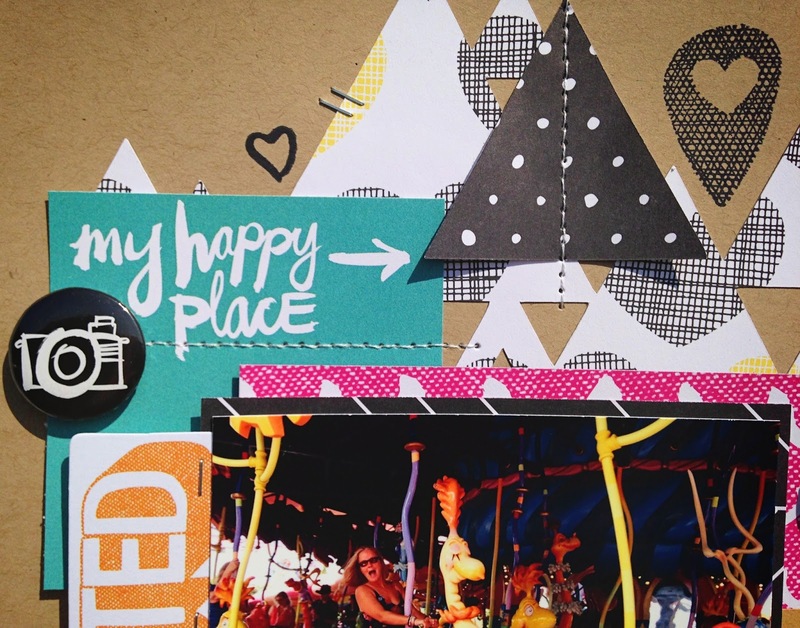 It's time for a new Mood Board challenge at Life.Paper.Scrapbook. and I'm totally in love with these bright colors! 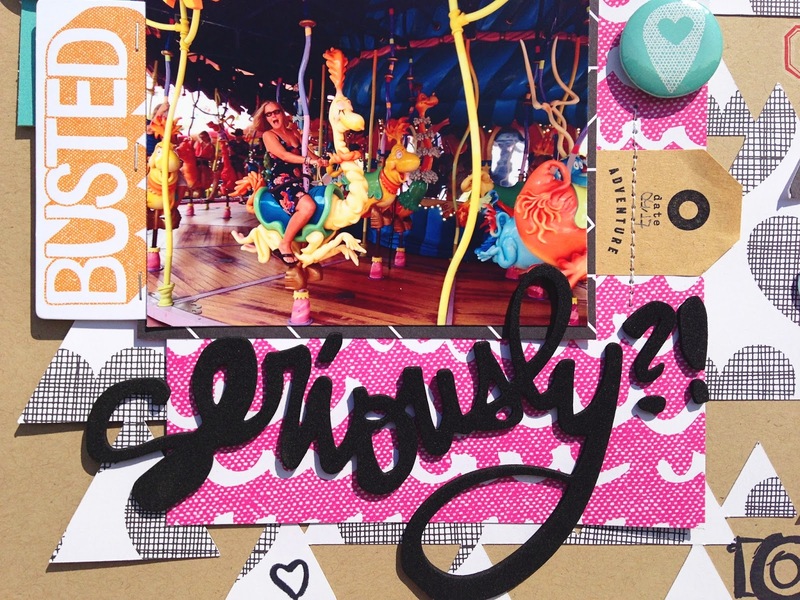 Of course I had to go with the Amy Tangerine Plus One collection, to me it was the best fit to the mood board. I chose a picture that was as colorful as possible. It's taken during a ride on the Caro-seuss-el in Island of Adventures, which is one of my favorites! 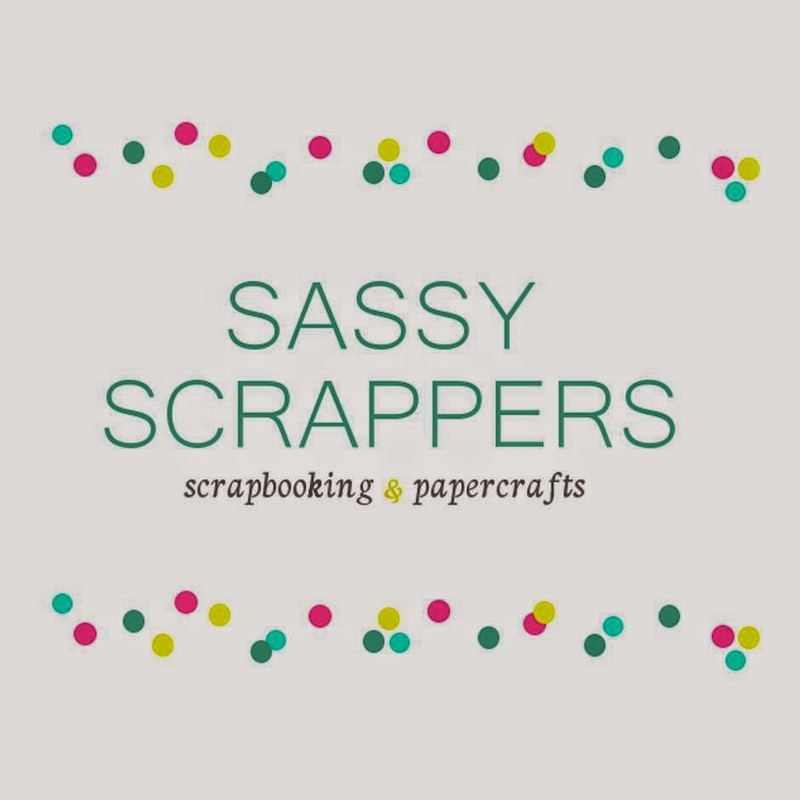 This challenge is sponsored by Sassy Scrappers, an Australian based online scrapbook boutique offering a wide range of products and stocking major brands such as Prima, Heidi Swapp, American Crafts and Project Life. Their aim is to inspire you to create and preserve your memories affordably. Offering flat rate postage throughout Australia, Sassy Scrappers is your one stop shop for great scrapping supplies. The design team provide lots of inspiration on the blog or follow them on Facebook for more inspiration and specials. The winner of this challenge will receive a AU$25 worth prize provided by Sassy Scrappers! 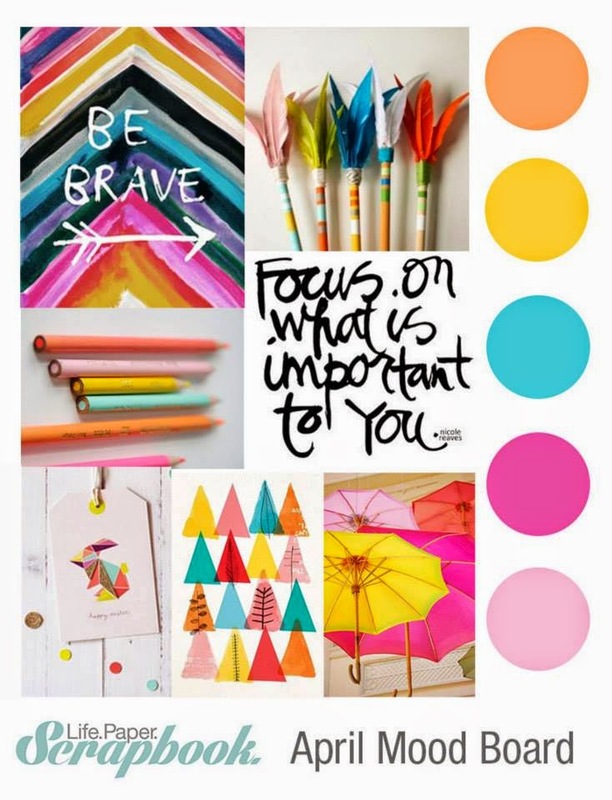 So join us and link up your project based on the mood board overhere at Life.Paper.Scrapbook. Wow! This is gorgeous! LOVING those triangles!!!! 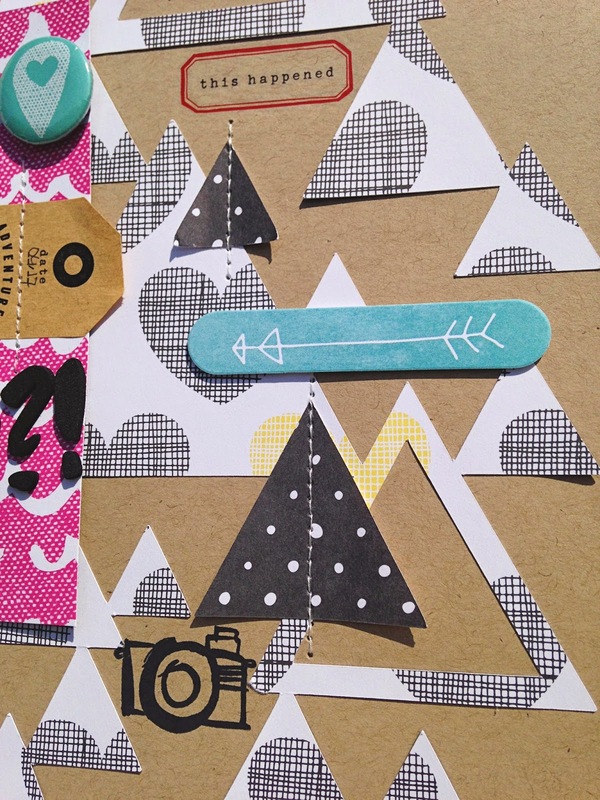 Totally fun with all of the triangles and color, Danielle! 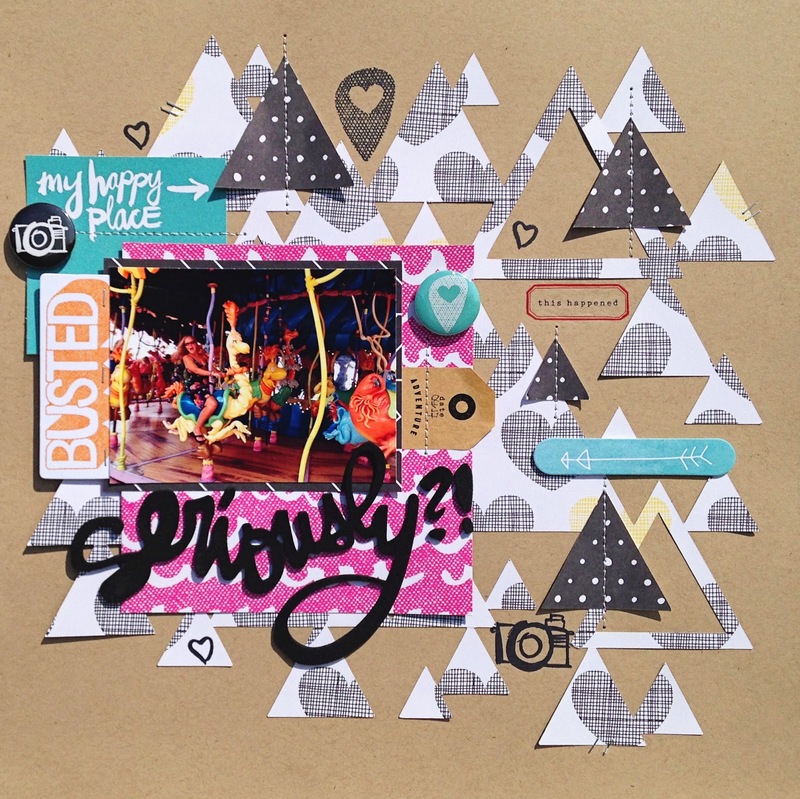 Fun layout, love that pp line and it is perfect for the mood board challenge. oh fun! Love all the triangles and great color. Amazing layout and so perfectly playful to go with that photo! This is gorgeous! What a fun layout. Love the triangles! Awesome layout!! I think the triangles mimic the up and down motion of the carousel... and I love Islands of Adventure! !